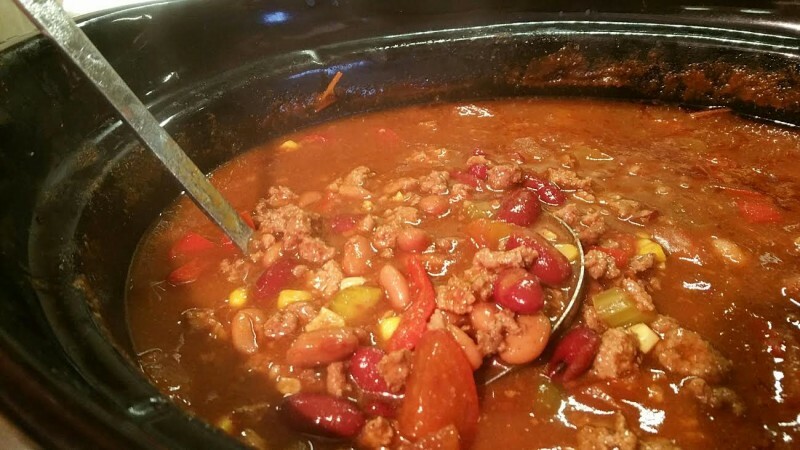 Update: We decided to throw out our other chili recipes. This is a KEEPER and the sauce/broth is wonderful and thick! 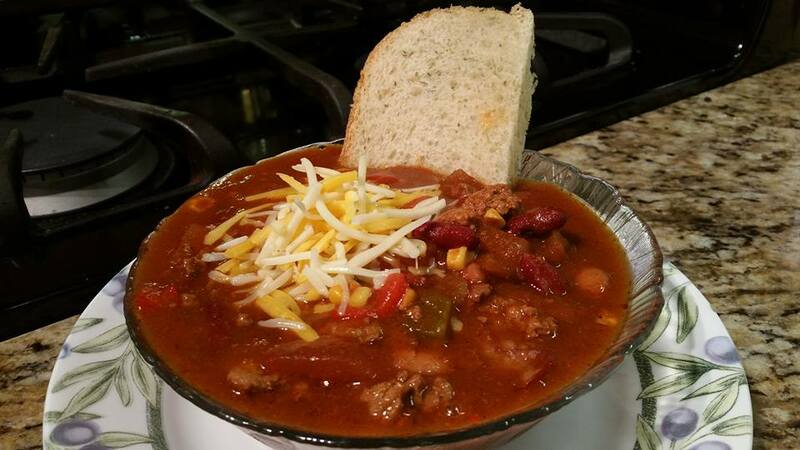 I am very happy with this chili out of Kate Gosselin’s book “Love Is In The Mix”. There’s a lot of people that hate her, but ‘haters gonna hate’. 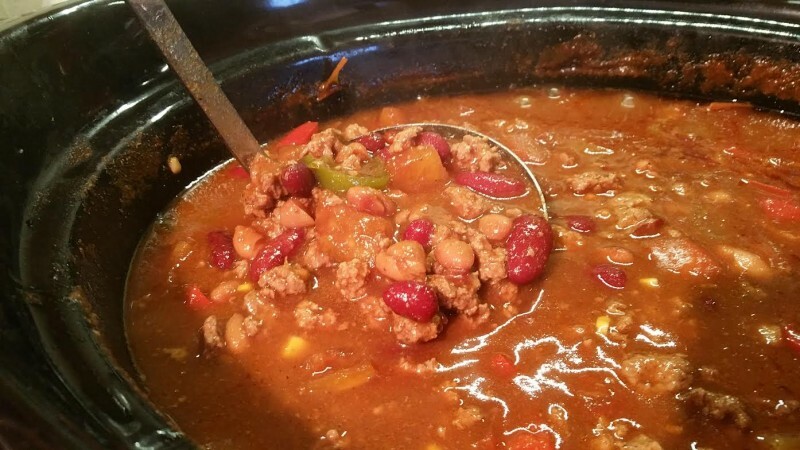 I’m just looking for another rendition of a quality chili, and I don’t care who it comes from. (I like her and give her the benefit of the doubt, btw). I really like this one, it mixes low fat ground turkey with higher fat ground beef. I used 85% fat ground beef and drained off some of the fat. The only confusing part was if the meat should be browned first. It didn’t say, I lightly browned both the ground turkey and beef first for safety reasons and I don’t like putting raw ground products into the slow cooker. I didn’t overcook the meats on the stove though, just enough to brown it and get it safe. Corn: It wasn’t part of the recipe but I had some to use up. It was the only change I made. Added at serving time: grated cheddar or Monterey Jack cheese, for garnish. **Known IC irritants! Please tread carefully! Place all of the ingredients, (except the cheese! ), in a slow cooker and cook on low for 6-8 hours. Serve with white rice, if desired, and top with grated cheddar or Monterey Jack cheese. 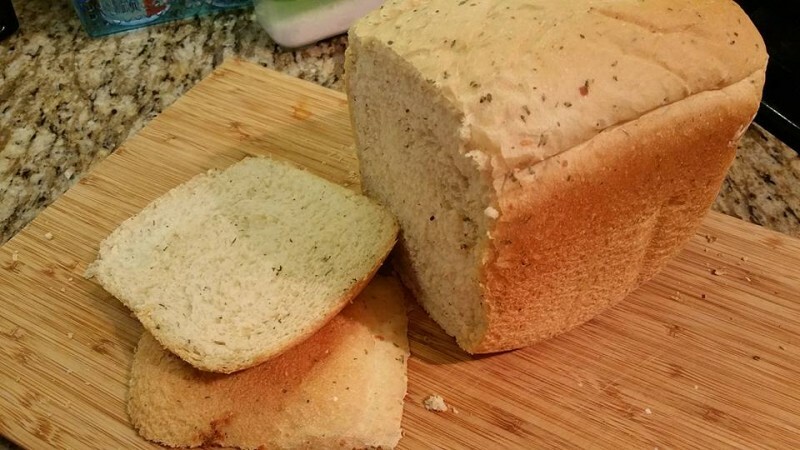 Remember to follow your bread machine’s instructions for order of ingredient placement. 1 tablespoon dried parsley (I crushed all the herbs with my fingers to release more flavor before adding to pan). Measure and add liquid ingredients to the bread pan, fitted with paddle. Use your finger to form a well (hole) in the flour where you will pour the yeast. Yeast must NEVER come in contact with a liquid when you are adding ingredients. Measure the yeast and carefully pour it into the well. Snap the baking pan into the breadmaker and close lid. Choose your mode on your bread machine, mine said “French” bread. Press the loaf size button and select 2 LB. Select your crust color, I select medium.